The Season of Light has come and gone. Its so hard to let go of that last vestige of cheer, white lights. Must be that we need just as much light as Christmas brings, if not more, for our minds and spirits these quiet, gray, lengthy January days and nights. I don't mind these days. But I do need Light. And lots of it. I'm also a stickler for properly placed, and layered light. What's that you say? You're saying my ceiling fixture isn't enough? Nope. Non certainment! Not enough. Lighting 101: Your room should have 3 layers of light: ambient, task and accent. Ambient light is the general, basic lighting layer that illuminates the space. Don't think just ceiling fixtures (chandeliers and pendants), but light from table lamps, wall lamps and sconces, and floor lamps should give your room a welcoming glow. A hint for lamps that give great ambient light: choose sources where the light glows from all around the shade, not forced into a directional beam (i.e. torchieres). 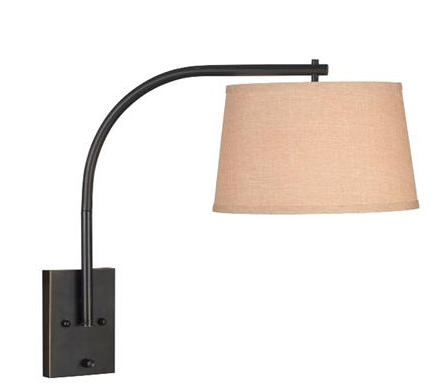 These lamps we've featured do double duty: great ambient light and great style. More Lighting 101, on task and accent lights, to come!